Paul Cox sent along a patch he is looking to get more information about. He wondered if it might be an Order of the Arrow Issue. I did a bit of research with Google and eBay and it appears to be an issue from the old Allegheny Trails Council. The Allegheny Trails Council merged in 1993 with the East Valley Area Council and to form the Greater Pittsburgh Council. 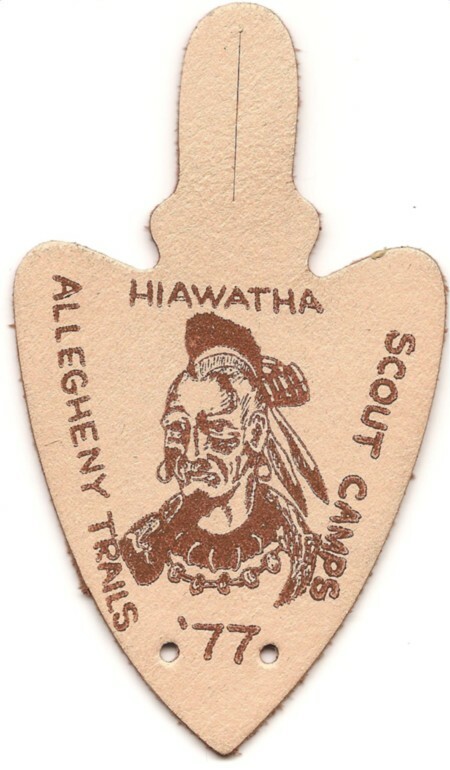 I don’t think it is an OA issue, it appears the camp patches features various Indian chiefs, currently on eBay there is a patch from 1978 which depicts Pontiac and a leather patch from 1979 which has an image of Tecumseh. Can anyone confirm what this patch was used for?